NOTE: This story will updated throughout the day as reports and results on the 2018 Primary Election come in. Results are unofficial until certified by the West Virginia Secretary of State's office. Check back for the latest news. Pro-teacher sentiment may have resonated in the race for the Republican nomination for West Virginia’s 11th district Senate seat, where Delegate Bill Hamilton unseated incumbent Sen. Robert Karnes. On Twitter, users directly made reference to the nine-day teacher’s strike in West Virginia in expressing hope Karnes was unseated as results began to come in showing him down by hundreds of votes. Both candidates billed themselves as lifelong Republicans, anti-abortion and staunch defenders of the 2nd amendment. But Hamilton had the support of the West Virginia Education Association, the West Virginia chapter of the American Federation of Teachers and the AFL-CIO. Karnes, who joined the Senate in 2014, had a reputation for stirring controversy. During the 9-day teacher strike, Karnes, who was vice chairman of the Senate Education Committee, supported a handful of bills the teachers’ unions opposed. The move prompted intense backlash. Karnes championed last year’s effort to reduce the state’s personal income tax. He also supported right-to-work legislation and the repeal of the prevailing wage for public construction work. Hamilton voted against both. The district is one of the largest in the state geographically, encompassing Grant, Nicholas, Pendleton, Pocahontas, Randolph, Upshur and Webster counties. State Attorney General Patrick Morrisey has won a contentious Republican primary for U.S. Senate in West Virginia, beating convicted ex-coal executive Don Blankenship. The race was called by The Associated Press at 10:19 p.m.
Morrisey also outdistanced congressman Evan Jenkins and three others in Tuesday’s race. Morrisey will face incumbent Democrat Joe Manchin in November. Both parties view the general election as key to Senate control for the next two years. The primary became a test of President Donald Trump’s clout. He came out strongly against Blankenship, who served prison time for a deadly mine disaster. A two-term attorney general, Morrisey promoted his record of challenging policies under the administration of former President Barack Obama. Morrisey deflected criticism of his past lobbying ties to the pharmaceutical industry and his roots in New Jersey, where he lost a 2000 congressional race. State Sen. Richard Ojeda has defeated three other Democrats for the party’s nomination in the U.S. House 3rd District. Ojeda beat state Delegate Shirley Love, Huntington bus service CEO Paul Davis and nurse Janice Hagerman in Tuesday’s primary. The 3rd District seat is being vacated by Republican Congressman Evan Jenkins, who ran for U.S. Senate. Ojeda became popular with state teachers for backing their efforts to win better pay and health benefits. Teachers ultimately won a 5 percent pay increase after a nine-day strike, and their success ignited similar teacher walkouts in other states. The 3rd District stretches from the Ohio River through the southern coalfields to the Greenbrier Valley. Kendra Fershee has defeated two other Democrats in the U.S. House 1st District primary. Fershee beat retired law firm CEO Ralph Baxter and Martinsburg attorney Tom Payne on Tuesday. She will face Republican Congressman David McKinley in November. McKinley ran unopposed in Tuesday’s primary. Fershee is a West Virginia University law professor and an associate dean of academic affairs. She is running for public office for the first time. At his election night watch party in Charleston, former Massey Energy CEO Don Blankenship took to the podium and told supporters and news media he was disappointed with results coming in from West Virginia's northern panhandle. "At this point, it’s not nearly what I would have hoped it would be. So, we’ll just have to see if we can come back,” Blankenship said. He is vying for the Republican nomination for U.S. Senate. Democratic incumbent Joe Manchin won his primary handedly, as the race was called less than an hour after polls closed at 7:30 p.m.
Blankenship also spoke of his fellow GOP hopefuls at his Tuesday night event. "I think that Jenkins is sill within striking range of Morrisey. I think, my personal opinion is, Patrick Morrisey -- his personal association with the drug companies that covered us up with the abortionists, makes it very difficult for me to be supportive of him at all," he said. "I would hate to see him represent the party. It’s not what I would like for the Republican party to be. Evan means well and is a good guy." Blankenship weighed in on how much he thought President Donald Trump’s Monday morning tweet rejecting his candidacy influenced voters in the race. Less than an hour after polls closed, The Associated Press has named Democratic incumbent U.S. Senator Joe Manchin the winner of his party's nomination. He has defeated progressive newcomer Paula Jean Swearengin. The race was called at 8:25 p.m. Tuesday. All eyes now turn to see who will be the Republican challenger for Manchin's seat in November. As precincts closed at 7:30 p.m. Tuesday evening, candidates and their supporters are settling in to watch results come in. The big race to watch, of course, is the Republican race for the nomination for U.S. Senate. Former Massey Energy CEO Don Blankenship is hosting a watch party in Charleston, Congressman Evan Jenkins is in Barboursville and state Attorney General Patrick Morrisey is in Kerneysville. Democrats and Republicans cast their votes at Matewan PreK-8 in Mingo County, not far from former Massey Energy CEO Don Blankenship’s hometown. The former coal baron is running for the GOP nomination for U.S. Senate -- aiming to take on Democratic incumbent Sen. Joe Manchin. The opportunity to vote for her former boss drew Mary Marcum, a 61-year-old Republican, to the polls. She worked for Massey Energy and recalled Blankenship’s longtime financial support of Mingo County schools and sports. “I think he talks with a lot of intelligence, he’s a good businessman. I think he’ll do really well for the state -- I really do,” she said. Burton Murphy, a 53-year-old Democrat, voted for progressive newcomer Paula Jean Swearengin, and he thinks Blankenship’s campaign is just an extension of a long-running feud with Manchin. “I personally think that he’s running for a personal vendetta against Joe Manchin, of which I’m not a fan either,” he said. Blankenship was convicted in 2015 for willfully conspiring to violate federal mine safety standards, a misdemeanor. The charges stem from the April 2010 Upper Big Branch mine explosion, where 29 miners lost their lives. Blankenship served one year in prison and, throughout his campaign, has been finishing a year of supervised release, which ends Wednesday. On Monday morning tweet, President Donald Trump urged West Virginia voters to reject Blankenship’s candidacy. The president co-endorsed Congressman Evan Jenkins and state Attorney General Patrick Morrisey. 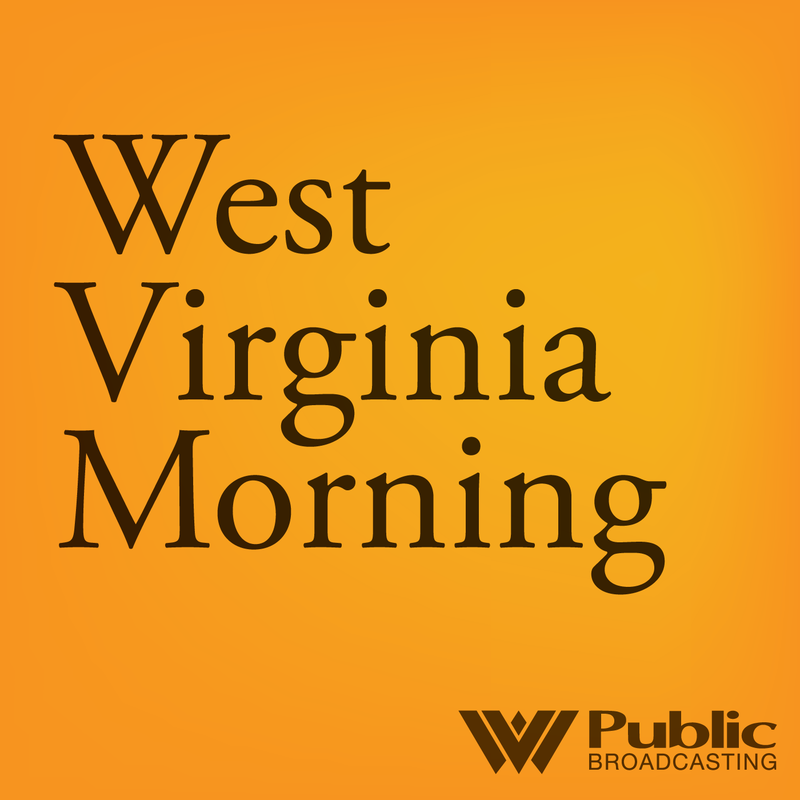 West Virginia Republican Chairwoman Melody Potter says she expects GOP voters will rally behind whoever is nominated Tuesday night, and she downplayed concerns about ex-Massey Energy CEO Don Blankenship, particularly from outside the state. 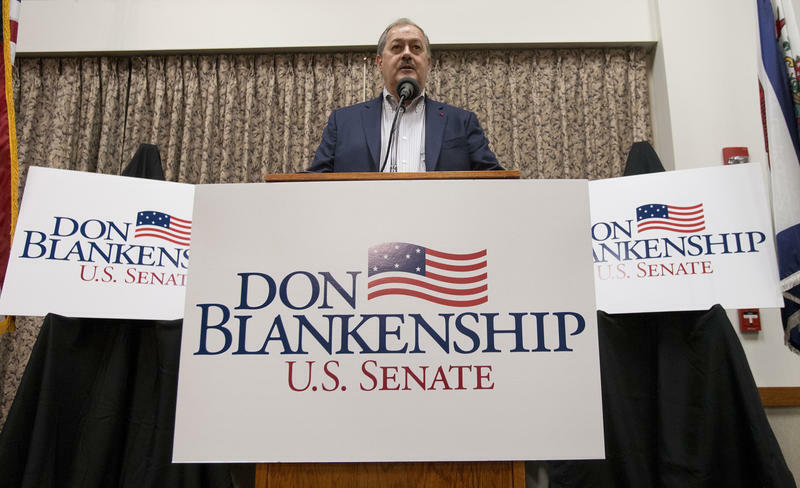 Blankenship is running in the GOP primary to challenge Democrat U.S. Sen. Joe Manchin. Potter said Manchin no longer reflects his electorate, and Republicans are "in it to win it in November." Potter and the state party have not taken sides, but she agreed that outsider arguments remain potent in Republican primaries two years after Donald Trump quashed establishment favorites in the GOP nominating fight. She said, "People want to see someone who respects the Constitution and does what they say they're going to do." She added that, "Trump does that, so candidates like that will continue to do well." Asked specifically about Blankenship's checkered past being a potential liability against Manchin, she recalled how 2016 played out and said "outside influences don't go very far." 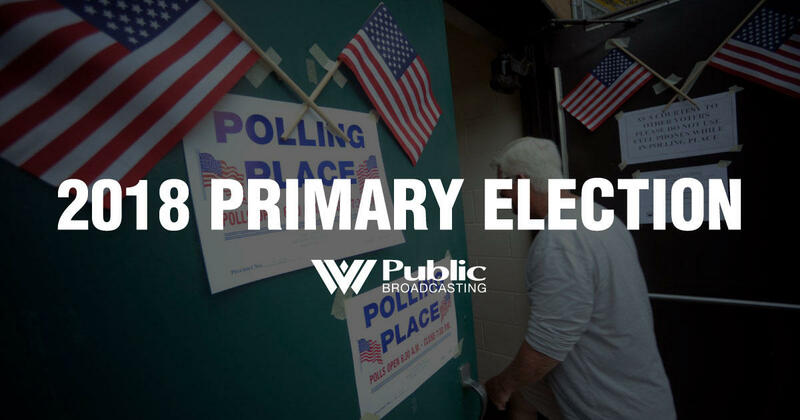 West Virginia voters are headed to the polls today to cast ballots in the state's primary elections. All eyes are on the race for the Republican nomination for U.S. Senate, but many voters across the state say they've been motivated by public educators who walked off the job for nine days during the legislative session earlier this year. Carmen Soltesz, a 37-year-old social studies teacher from Williamson, said she was headed to the polls with the strike in mind. “This is how I intend to live the rest of my life until I retire. So, I feel like it's really important that we that we elect people who are in support of public education as much as they are to bringing in business,” Soltesz said. Some voters in Mingo (all educators or aspiring ones) have the WV teacher strike on the brain. Social studies teacher Carmen Soltesz: "I feel like it's really important that we elect people who are in support of public education as much as they are to bringing in business." Thomas Dobson, a 38-year-old history teacher from Martinsburg, was out at the polls Tuesday. A registered Democrat, Dobson weighed in on his party’s primary for U.S. Senate. While the GOP U.S. Senate race has dominated the national spotlight, Manchin faces his own primary challenger in progressive newcomer Paula Jean Swearengin. Jillian Music, an 18-year-old registered Independent from Mingo County, said her mother being a teacher and seeing the strike unfold influenced her this election. "She's a teacher and I'm going to be a teacher, so a lot of this stuff was based around what happened with the strike," Music said of the way she voted. She says she picked up a Democratic ballot to throw her support behind candidates that supported the strike, such as state Senator Richard Ojeda, who is now running for congress in West Virginia's 3rd District. As teachers and their supporters headed to the polls, the hashtags #55united and #55strong made a resurgence on Twitter. The hashtags were prominent during the strike in late February and early March. In addition to being Election Day, Tuesday also marks Teacher Appreciation Day. In the lead-up to Election Day, more than 68,000 West Virginians cast ballots early this year, according to the Secretary of State’s office. That’s about 23,000 more than voted early in the 2014 midterm primary. West Virginia elections officials are receiving scattered reports that some independent voters are being mistakenly told by poll workers that they cannot request a party ballot in the primary. Under state law, independent voters -- as well as those registered as having no party affiliation -- can choose to vote in either the Democratic or Republican primary. Steve Adams is a spokesman for the West Virginia secretary of state's office. He says such incidents have been reported Tuesday in Mingo, Logan and Kanawha counties. He says voters who run into resistance at the polling place should contact their county clerk or the secretary of state's office. Adams says there have also been some issues with new touch-screen voting machines in Jefferson and Taylor counties. The machines print out a completed ballot, but some voters pull on the printed ballot before it's done printing, making the accompanying bar code unreadable. In those cases, Adams says the ballots must be hand counted, creating delays in vote counting. On this West Virginia Morning, after Russian-backed hackers probed election-related systems in at least 21 states in 2016, election officials, whose focus traditionally on making sure polling places run smoothly and efficiently, now have to focus on protecting their computer systems. Although West Virginia wasn’t targeted in 2016, the secretary of state’s office is teaming up with the National Guard to take precautions. Dave Mistich takes a look at the partnership, which is paving the way for secure elections in the digital age.